Medisoft Clinical combines the practice management (PM) features of Medisoft with a proven electronic medical record (EMR) that has helped thousands of practices improve quality of care and financial performance. With Medisoft Clinical, you keep the PM you know and add the EMR that can take you to the next level of practice automation. 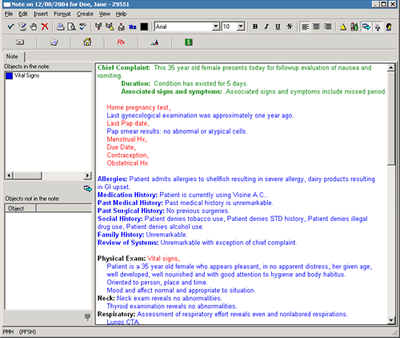 Unlike other EMRs, Medisoft Clinical features a unique note-centric design that allows physicians to complete the entire chart from the progress note. Any information you add to the note – such as medications, vital sign results or lab results – automatically update the entire chart, all from the note. Medisoft Clinical offers easy access to the information you need to ensure exceptional care. An extensive knowledge base includes: Web-based access to hundreds of disease and medication protocols; a broad range of progress note templates covering both primary care and specialty topics, which include guidelines for diagnosis and treatment and care reminders.